Harvard International Review is a magazine covering developments around the globe in culture, business, science, technology, politics and economics. 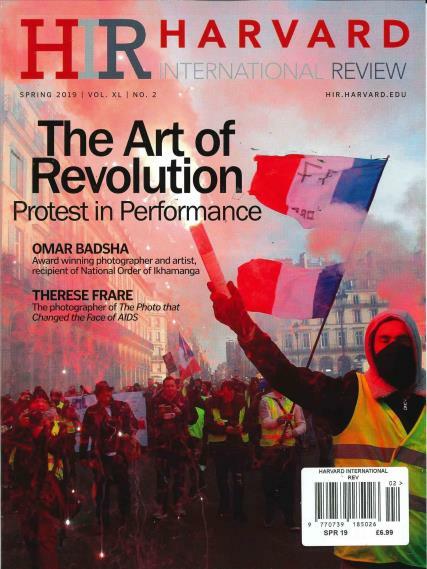 Buy a single copy or subscription to Harvard International Review magazine. The magazine is written in an objective and academic journalistic style, and has interviews and articles from extremely well respected scholars and experts in their chosen fields. Boasting articles and interviews with the likes of Noam chomsky and Nelson Mandela, this magazine aims to direct public interest rather than to follow.